Welcome Home! 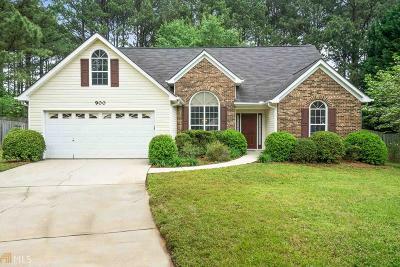 You are sure to Fall in Love with this charming ranch nestled on a quiet cul-de-sac in the well established St. Andrews at Rockport swim/tennis community in the Union Grove School District! The Open floor plan features a split-bedroom plan, updated kitchen with stainless appliances, breakfast bar & area, separate dining room open to the spacious fireside family room, large owner&apos;s suite with private bath, Sun room overlooking the private fenced back yard, updated fixtures and paint throughout home! All of this just minutes to interstate 75, shopping, dining entertainment, and Piedmont Henry Hospital! Don&apos;t miss your chance to make this house your home! Presented by Crowe and Jones Realty Partners! Call us today for more information! Directions: 75 South Take Exit 224 And Turn Left. Go To Light At 42 And Turn Right And Then Left At Brannan Rd (Red Light). Right Into St. Andrews.